Film in Space at Camden Arts Centre, London. 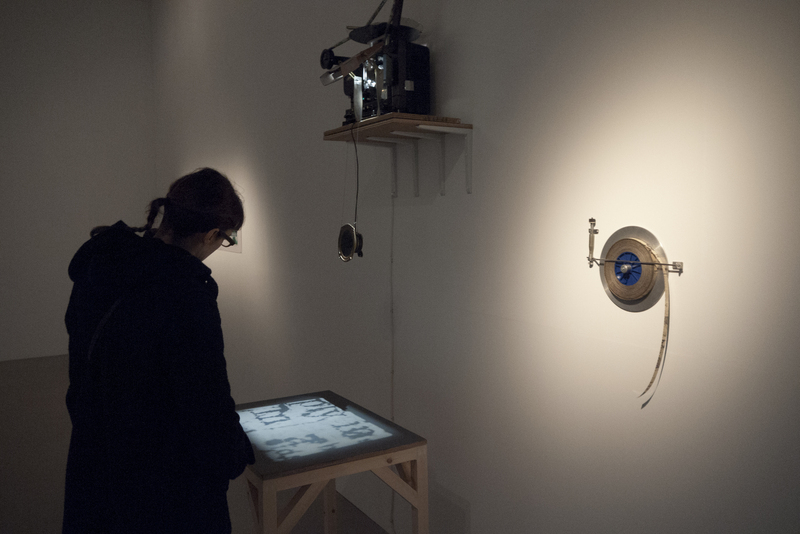 The show stresses various continuities between the different media represented. 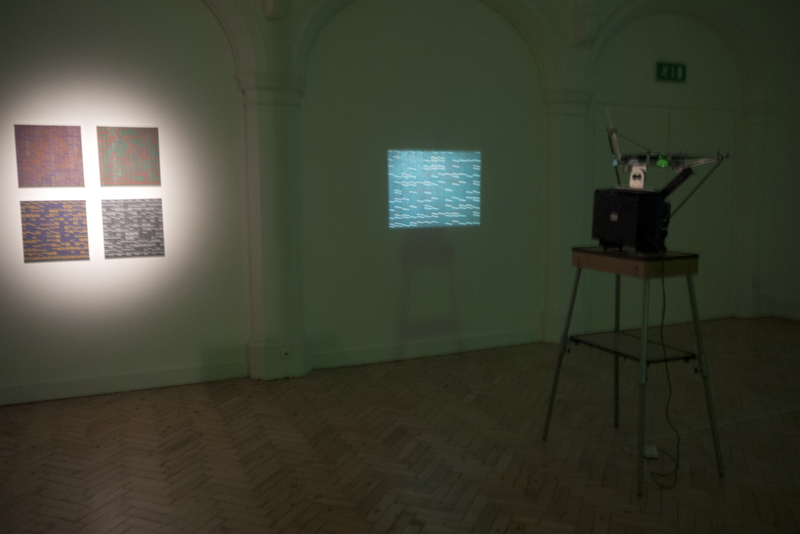 In my own case, the 16mm film Correspondences is shown alongside the four-part painting by Angela Allen, from which it is closely derived. This joint work was premiered at the Art Gallery of Windsor, Ontario and the film was shown at Media City Festival, in the same city, in May 2012. 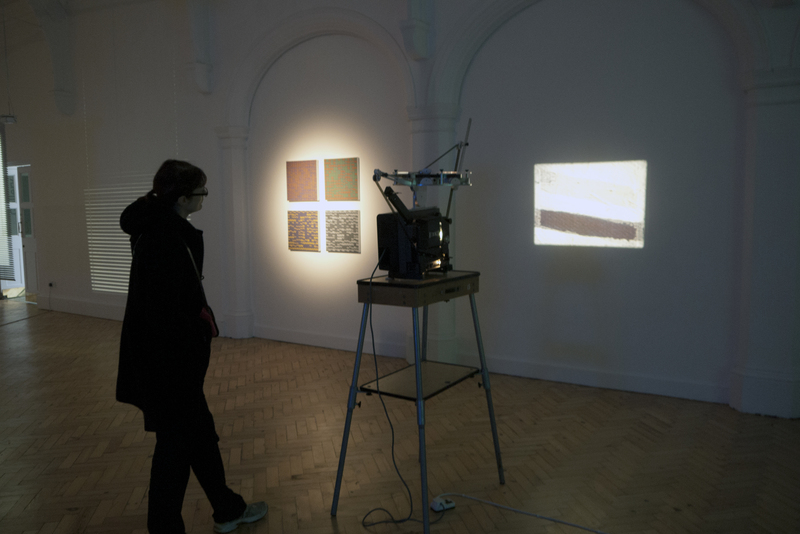 Two installation views of Correspondences. 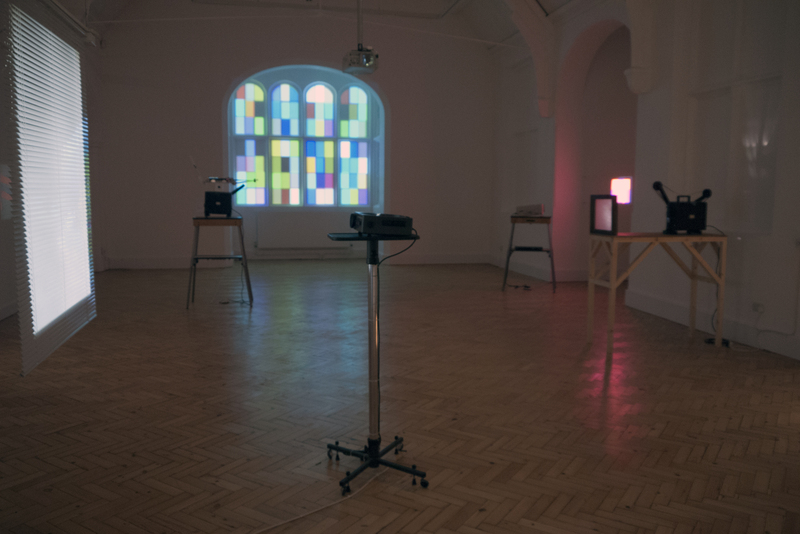 General view of gallery three showing, from left to right, work by Emma Hart, Simon Payne, Guy Sherwin and my own Risoni, a double loop that runs in one projector. In the same room, but not visible, is a plexiglass sculpture by Denise Hawrysio and a large painting by Dan Hays. 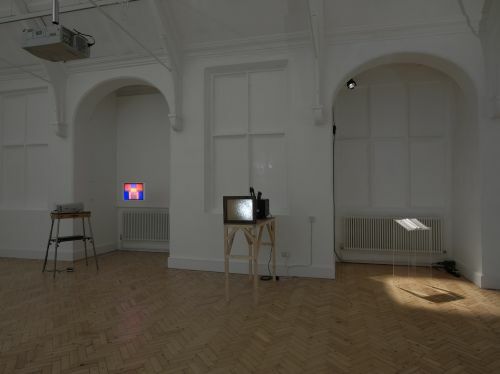 Newsprint (1972/2012) by Guy Sherwin, showing the projection onto a table and, to the right, the original film material from which the film was made. The optical soundtrack is generated by the image, which is achieved by printing the newsprint onto the soundtrack area on the edge of the film. It is all too rare for Expanded Cinema, which is invariably shown in alternative spaces outside both the art gallery and cinema worlds, to be shown in an art gallery. The show is wonderfully curated and strategically installed, so that the interplay between different works really comes alive. It is a timely review, given the new wave of expanded film projections by artists like Bruce McClure, Metamkine, Gibson and Recoder and others. The occasion also re-stimulates the debate about how best to show time based works in galleries with ambulatory spectators. Most are short, and activated by the spectator pushing a button on a wall, the effect of which seems to be to create a kind of contract between the spectator and the work, such that it will be viewed in its entirety. 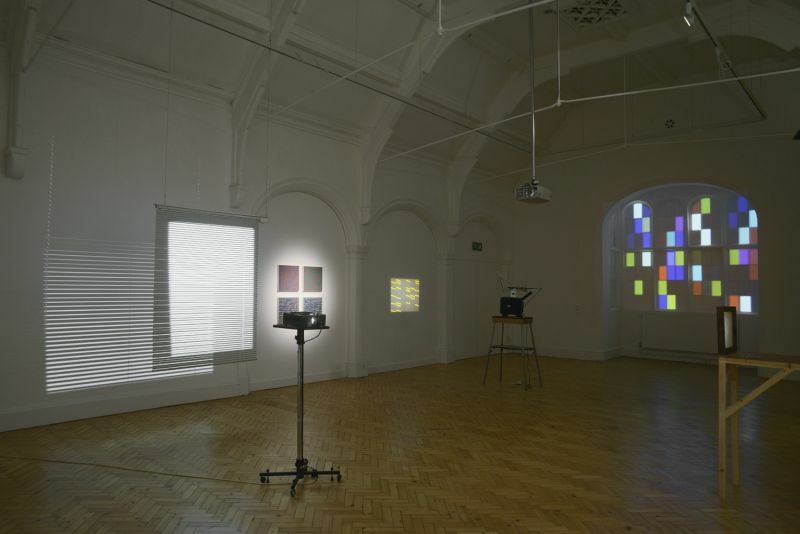 None of the films is shown in a black box cinema, and the mixed pieces in room three, most of which are highly coloured, freely interact, generating a pulsating coloured space within which individual works function as generative focal points.